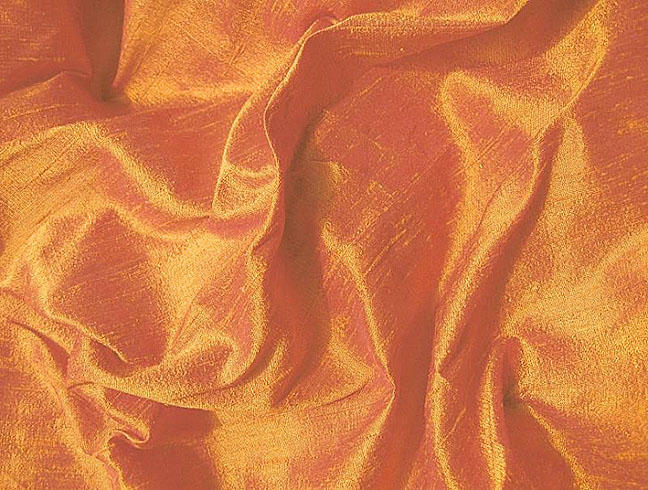 The brilliant sheen of this iridescent silk dupioni fabric enhances the rich appearance resulting from cross threads of red and a saturated goldenrod. 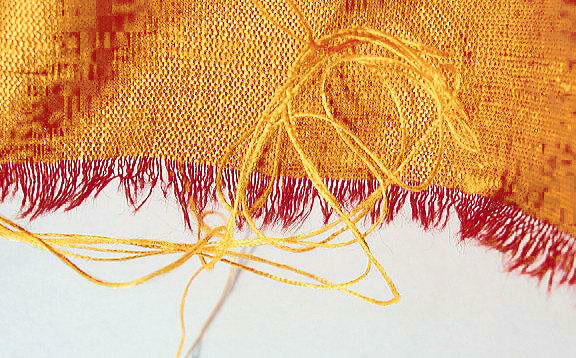 The silk has golden yellow highlights with undertones and contrasts in deeper shades of tangerine. 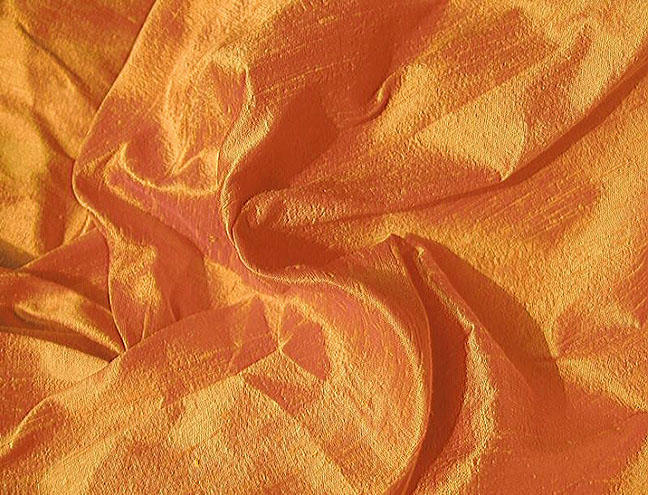 The remnant measures 21.5" wide x 11.5" long, and I photographed a larger piece of the silk in natural light without flash.